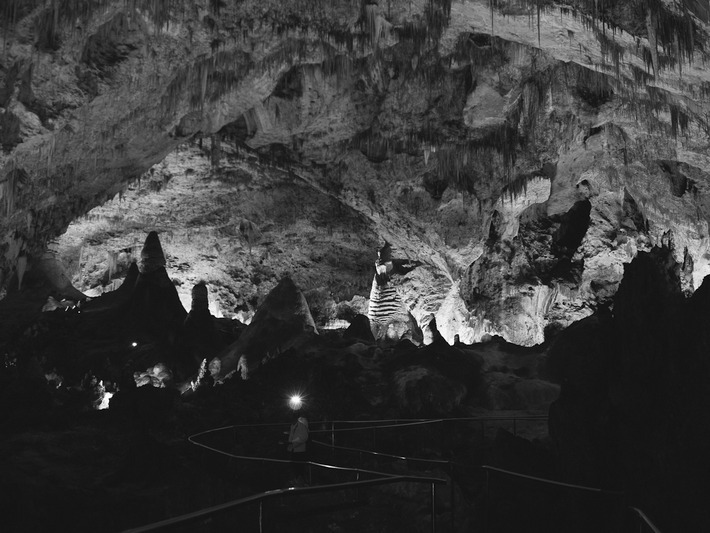 day eight; carlsbad caverns national park. we spent nine hours driving straight from the northern edge of new mexico all the way to the southern. at two a.m. we found ourselves in a wal-mart parking lot, which would serve as a place to wash up and rest our heads for the night. we wake up the next morning, give our eyes enough time to adjust to the sunlight, and we are off. we make it to carlsbad caverns national park bright and early. after speaking with a park ranger, we were under the impression that the hour and a half hike he informed us about was just to get to the cavern itself. as we set off for our trek, we soon realized that length of the hike he described was just that of walking through the cavern. 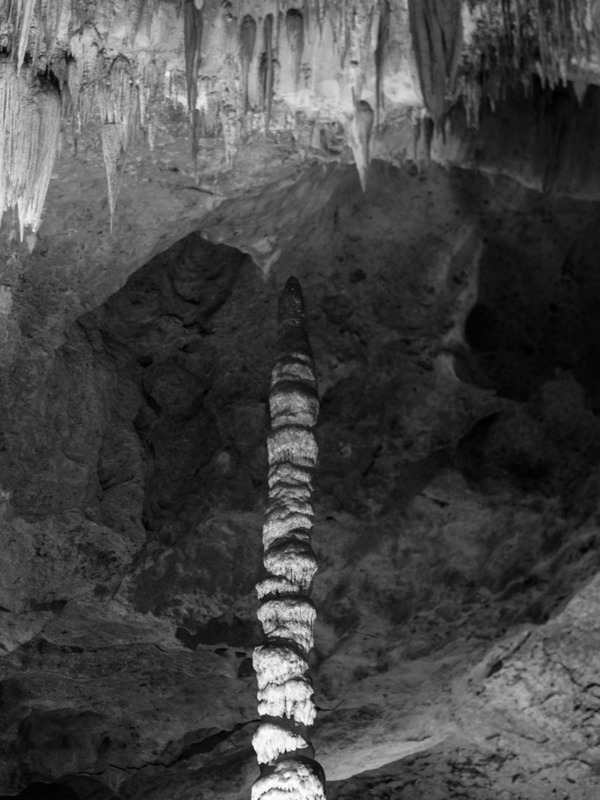 the cavern trail descends about seven hundred and fifty feet under the earths surface. as you descend into the massive cavern a wall of damp cool air hits you, with the average temperature in the cave being sixty eight degrees and the humidity level staying close to one hundred percent year round. after a round of switchbacks you are dumped into the opening of the cave, we were in awe of what lay before us. 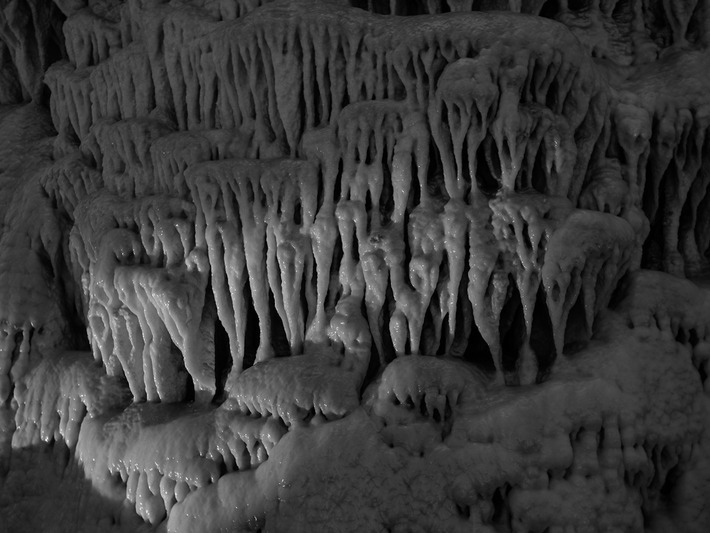 stalactites above and stalagmites below all lit in a way that allowed you to see how impressive these formations really are. we are surrounded by massive columns rising fifty feet from the cave floor to the ceiling and limestone walls so fluid and smooth it looks as though they could be running water. we spent more than two and a half hours slowly walking through the eerily silent and enormous cavern before heading back to the desert above. back in the dry, cactus laden landscape of new mexico it's hard to believe that something so other-worldly lay right below the surface.